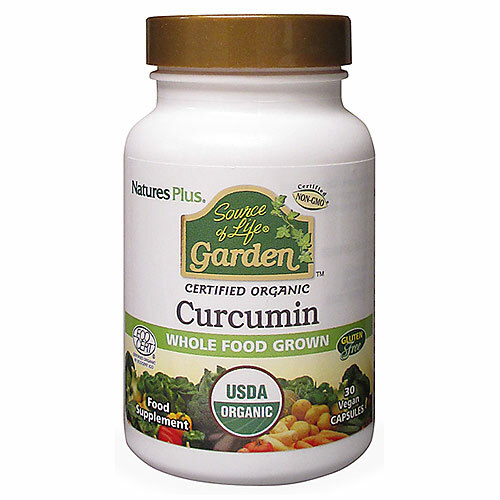 Nature’s Plus Source of Life Garden Curcumin is certified organic 95% curcuminoid supplement in certified organic capsules. With all natural curcuminoids that may help support and maintain a healthy liver, digestive system and joints. Agriculture–accredited certifiers from soil to seed to harvest to finished product! Organic turmeric root, organic capsule (pullulan prebiotic polysaccharides [from Aureobasidium pullulans]), bulking agent (organic rice maltodextrin), anti-caking agent (organic rice concentrate). As a food supplement for adults, take 1 capsule once daily. 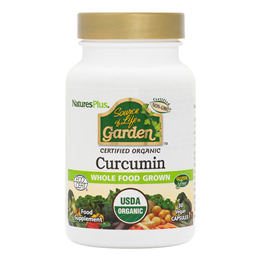 Below are reviews of Source of Life Garden Organic Curcumin - 30 x 400mg Capsules by bodykind customers. If you have tried this product we'd love to hear what you think so please leave a review.